Have you been thinking you’ll take a picture of your child on the first day back to school? You’ll need a first day of school sign. Here’s a collection of FREE, printable signs and a few DIY ideas for the young scholars to hold while they smile for posterity. As you prepare for back to school, check out these awesome DIY Teacher Gift Ideas. Has school already started—and you forgot the picture? Aww, it’s not too late. Take one anyway! 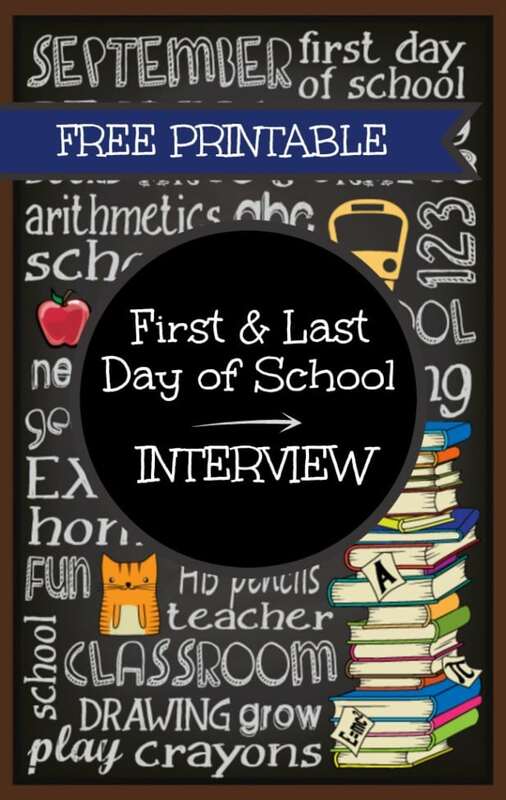 You can make first day of school memories with your kids from pre-kindergarten all the way to twelfth grade with these sweet free printables from How Does She. Pastel colors and fun patterns make each grade special and keep with a soft, muted color palette. Also be sure to notice the lunch box notes available in the post. Any kid would love finding one of those with their sandwich. 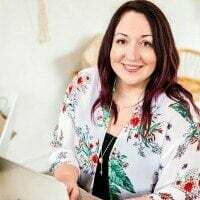 Kelly from Nest of Posies has you covered for all of your first day of school sign needs, with a variety of colors and patterns including chevron, checks, and dots! There are also two different complete sets in case you have two children going through the same grade or just with different personalities. Pictures with these signs are the perfect pieces to add to your child’s scrapbook or the family album. Classic writing grid paper serves as the official backdrop for these adorable first day of school signs and photos from The Suburban Mom. I just love the fun school house font that is used to write out each grade. These simple black and white signs, paired with the perfect first day of school outfit, will really make those first day pictures pop. 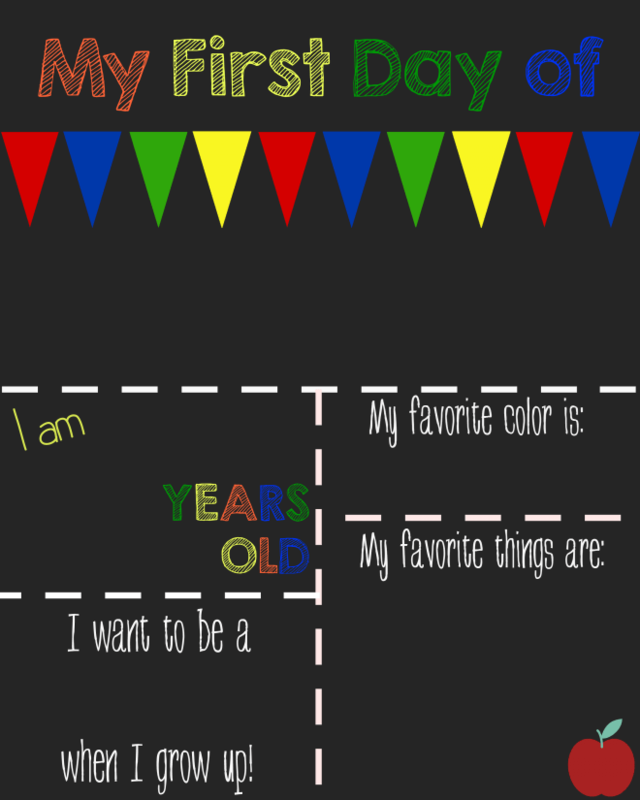 Bright primary colors make the perfect borders for these printable first day of school signs. The set is complete with 8.5×11 inch signs for preschool all the way to twelfth grade. I particularly love the fun colored hand-written fonts in these signs. 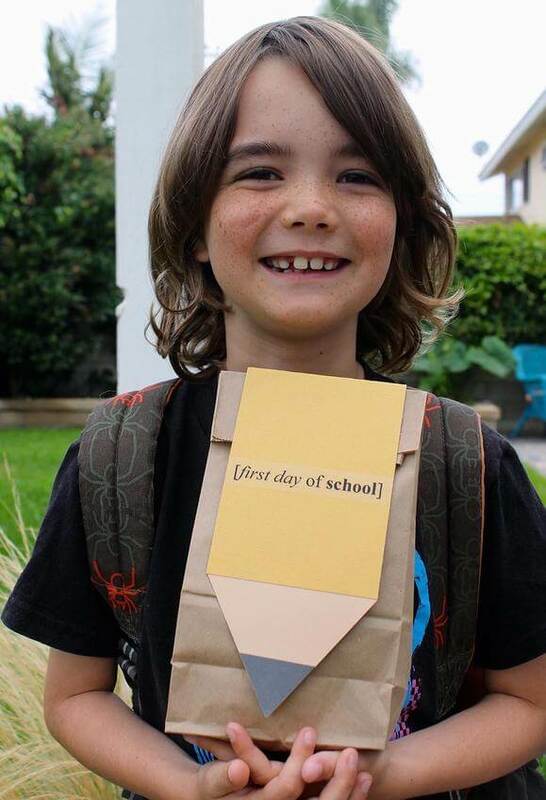 They make an adorable accessory for those first day of school photos. Chalkboard signs are perfectly on theme for first day of school pictures, not to mention they are fun and trendy too! Beat the mess and hassle of actual chalk board with these wonderful printable signs from That’s What Che Said. Download them for free on your home computer and then print them out. For inexpensive prints on cardstock check out your local Office Max. 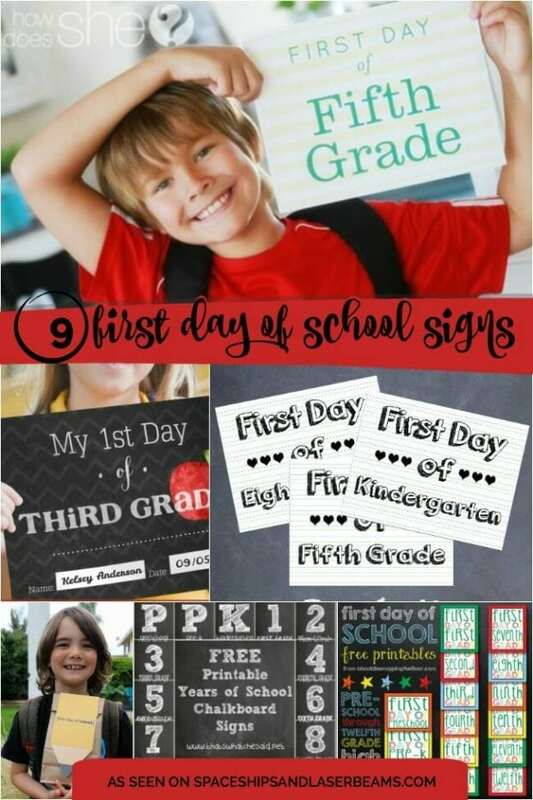 Capture that special first day moment with this fantastic first day of school sign collection from Lonni Olson. 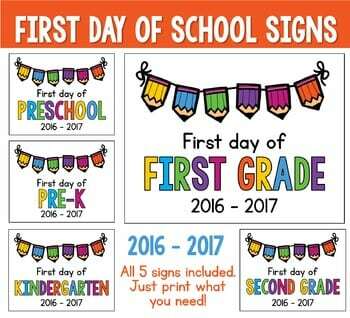 Simply personalize and print out the signs and then have your children hold them up for their first day pictures before leaving the house. I love that these signs have a place to add their name and the date! I love the way that this first day of school printable chalkboard sign comes out in back to school photos. It also acts as a beautiful reminder of your child’s favorite hobbies, colors, and dreams as they get older. It would be so wonderful to frame the printable each year for gallery wall in their bedroom or playroom. With the new school year starting many parents are thinking of ways they can capture their children and their personalities on the morning of the first day back. This post is complete with five inspiring ideas that will add a little bit of fun and nostalgia to the first day of school. A newsprint banner, oversized pencil, Styrofoam photo booth frame, apple on a stick, or conversation bubble are great ways to get the year started on the right foot. Colorful pencils embellish these freebie signs for Pre-schoolers through 2nd graders.